Every bride is different, which is a fact that we appreciate. We, therefore, take our time during appointments getting to know what our brides like and dislike. With our intimate and exclusive bridal consultations, we will give you expert advice and recommendations on wedding dresses that will suit your body type, skin tone, and most importantly, style. Our consultations are an hour and a half long, during which time you will be able to fit as many dresses on as you’d like. We love to spoil our brides, so you can expect luxury treatment while being provided with your pick of tea, Nespresso coffee, or champagne. We have our very own, highly skilled seamstresses, which means that our studio offers in-house alterations to customise your dress, ensuring the perfect fit on your special day. 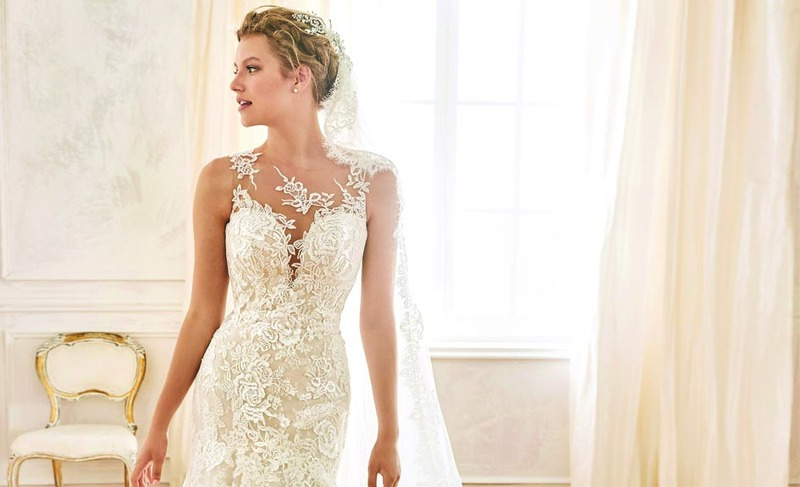 Fittings will take place as often as needed with your final fitting done about 1-2 weeks before your wedding date, so you can rest assured that your gown is ready to be worn down the aisle. Whether you wish to put your dress in storage or resell it, we offer dress-cleaning and pressing services, as well as dress repairs done by our seamstress. Should you choose to sell your dress after your wedding, we provide our clients with the option of reselling their dresses through our studio, which means that a percentage of your original purchase price gets paid back to you. We know that our Johannesburg brides expect products of a high standard, which is why we house designer brand dresses of exceptional quality to suit every style and silhouette. We are passionate about accentuating feminine grace and beauty by making every bride feel her absolute best. For exclusive bridal consultations, superb post-wedding services, and matchless designer wedding dresses, why not make an appointment with one of Johannesburg’s favourite bridal boutiques? Contact us today via our email at info@timelessbridal.co.za.